While we were rescuing this years Thanksgiving turkey at a local ranch, we ended up saving the last four but we couldn't help but notice the horrific conditions in which the other animals were living. Unable to stomach what we were witnessing, we came home with two of the ten cows who were in the worst shape and were pregnant. At first, we thought her stress was from missing all of the animals she had left behind, or from feeling unsure of her new surroundings. But by morning, when her cries had not stopped, we realized something more serious was going on. We also noticed that her utter was full now and she was expressing milk. When we called back to the place we rescued her from, our fears were confirmed. She had been separated from her calf, and we were informed that her baby was being sold that day to someone else for slaughter. We demanded that they release the baby to us, knowing that this cow would die of heartbreak otherwise, and they agreed, especially because their truck had broken down and they couldn't deliver the calf to the other people and we had a trailer...small miracles! When we arrived at The Gentle Barn with the calf, his mom heard his voice, she jumped up and practically broke through the pasture fencing to get to her calf. When we lead her tiny baby to reunite with her, the calf collapsed on the ground in front of her. As she licked him and nuzzled him with the gentlest touch, he got up. 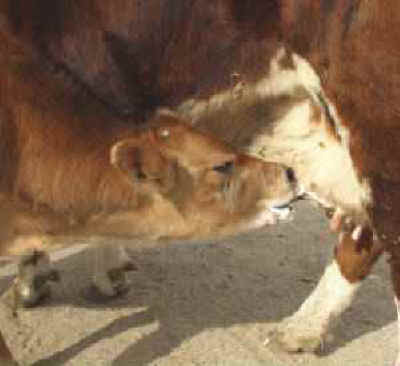 As her baby nursed, for the first time in twelve hours, the mom let out a long moo, like the biggest sigh of relief. Now that her baby is with her, she has not made a single sound. She is happy and at peace, and the two will never be separated again. The place has been sighted and is in the process of being shut down, but there are still seven cows there that we are desperately trying to get out, before they are slaughtered. There are two pregnant cows, one with a calf, and four calves that have been weaned. We are trying to raise $5,000 to save them and bring them to The Gentle Barn for refuge and to be a part of our program, teaching people kindness and compassion to animals. Please help us get them out before it's too late...No amount is too small! What a great holiday gift for yourself or someone you love. You can visit the cows and turkeys at The Gentle Barn every Sunday from 10 a.m. to 2 p.m., or during our Winter Wonderland event on Sunday, December 14 from 10 a.m. to 4 p.m. Our Winter Wonderland features real snow for sledding, hot apple cider, delicious food, live music, time with our rescued animals, and a holiday gift silent auction. All proceeds go towards the support of The Gentle Barn and are tax deductible as allowed by law. 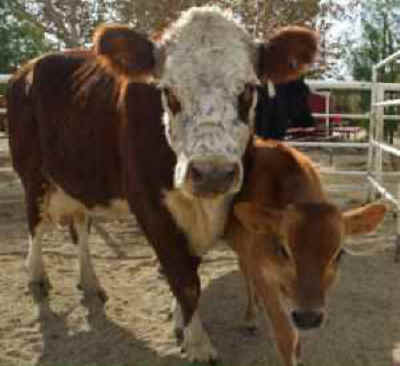 For more information about The Gentle Barn or to make a donation for the animals, please visit our website.